The church ‘St. Archangel Michael’ was built in 1873. This information comes from the inscription kept on the Arctic over the front door. 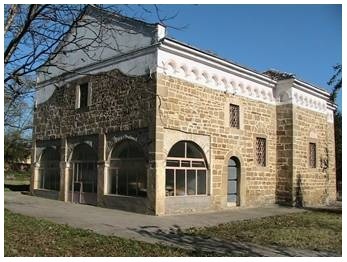 The building was constructed by few mountaineers from the famous Bulgarian town Gabrovo, who were students of Nikola Fichev, commonly known as Kolyu Ficheto, a Bulgarian National Revival architect, builder and sculptor born in Dryanovo in 1800. Main initiatives of the church were priest Bratvan Atanasov and the churchwardens during this time. On their initiative, according to registers from 26th of October 1873, were collected funds from the population. The building has a navicular/ship-like form. It was sanctified in honour of St. Archangel Michael by Ilarion Makariopolski on 8th of November 1874. On the sacred images on the iconostasis of the church which were made in 1873, we can see the signatures of the famous icon-painters Dimitar Kanchovski and Hadji Christo. The church ‘St. Archangel Michael’ is declared as a monument of culture with a letter No 2586/05.07.1979. Every year on 8th November (patron saint’s day) a boiled mutton is made for health and prosperity.